Actor Yasser Nomani is a young lad who is working hard to have a firm footing in the TV industry as an actor. Originally hailing from Allahabad, Yasser has been a frequent performer in theater and play activities in his college. Modelling has always been a passion for him. He set foot first in the ‘Land of Dreams’, Mumbai 3-4 months back with an aspiration to become an actor. His first role in television happened to be an important episodic role in MTV’s Gumrah, post which he has recently shot for an episodic story of Zing’s Pyaar Tune Kya Kiya. In an upcoming story of Pyaar Tune Kya Kiya, Yasser will be seen playing the right hand man to the main lead boy, played by Jeet Soni. He will be the catalyst in getting him the love of his life. Here’s wishing Yasser all the very best for the future. Zing's Pyaar Tune Kya Kiya: In Quest of Love! Love blossoms even in some of the most unexpected situations. Rohit (Umang Khanna) is soon to realize that he has no control over his emotions as he falls for Aparna (Shilpa Saklani), a married woman. Rohit meets Aparna while she comes to his city in search of her lost husband. Rohit makes it his duty to help Aparna in her mission in every possible way. In no time, both of them develop a mutual bond of concern and care for each other. But there comes a twist in the story as Rohit starts realizing that he is falling in love with Aparna despite knowing that she is married. How will Aparna react to this? Will she be able to find her husband? What will be their future? Will Aparna and Rohit be brave enough to stand by each other? Don’t miss the episode of Pyaar Tune Kya Kiya on Zing!!! In this week’s episode, Zing’s popular love based show Pyaar Tune Kya Kiya is all set to bring an interesting love story focusing on a conservative Muslim family based in Lucknow. Starring in this Lost Boy Productions’ show will be Telugu film actress Karina Shah and the good looking Nishant Raghuwanshi (Pavitra Rishta). They will be seen as Malika and Sohail respectively. Giving the lovebirds a hard time will be the versatile Ssumier S Pasricha (Sasural Simar Ka) as Rehman, the strict brother-in-law of Malika. The episode will focus how parents can sometime become villains when youngsters fall in love. We could not reach Karina and Nishant. This particular episode will air post the New Year festivities on 2 January. There is no perfect couple; only perfect relationships build by imperfect people. Proving the above lines true, Harssh Rajput and Juhi Aslam will be bringing out a must watched special episode of Zing’s Pyaar Tune Kya Kiya (Lost Boy Productions). Juhi as viewers would know suffers from dwarfism and stands quite short. But that has never proved to be a deterrent in getting roles for this talented actress. After playing the lead in Baba Aiso Varr Dhoondo, the girl was seen in shows like The Serial, Qubool Hai and Jodha Akbar. In the above episode, she will be seen playing a young girl with millions dreams and a hope to experience a ‘fairytale’ romance in her life. But her height would make her apprehensive of trusting people. Encouraged by her friends, the girl would log on to social networking profile and find a true friend in a guy (Harssh). Her first meeting with her friend would turn out to be completely opposite to what the girl would have fantasized about. Will this leave the girl shattered? Or will love find a way in their lives? This special episode will air on 12 December. be seen in an upcoming episodic of Zing’s Pyaar Tune Kya Kiya season 2 (Lost Boy Productions). Parag will portray the role of biker who loves to race and live life on the edge. His profession would make his relationship with his family strain as they would be completely against it. To keep him away from racing his grandmother will take him to a ashram where he will meet Anupriya and soon will fall in love. Like all love stories, this one too will witness lots of ups and downs with a lot many twists. We could not reach Anupriya. The particular episode will air on 7 November. Zing’s popular show Pyaar Tune Kya Kiya, produced by Lost Boy Productions will depict a unique love tale featuring The Xpose actor Kunal Thakkur and Paanch fame Rashi Mal. The love story between Siddhant (Kunal) and Alka (Rashi) will kick-start in the college where they would be studying together. The story will revolve around how Alka will go through something very shocking which will change her life. The manner in which Siddhant will stand by Alka through thick and thin, will form the crux of the story. This particular episode which will go on air on 24 October will be the Diwali special episode. Zing's popular show Pyaar Tune Kya Kiya (Lost Boy Productions) will see another cute love story, having Meerut and Mumbai as backdrops. Sehrish Ali (Diya Aur Baati Hum fame) will be play a small town girl who will aspire to become an actress. She will move to Mumbai from Meerut but as a married girl. Her dream city will turn out to be a sad experience as she will try hard to get adjusted to the city life. She will also detest her husband, played by Avinash Mukherjee, as she would hold her responsible for her shattered dreams and ambitions. Shares a source, "The story will make people realise that sometimes the things we hate are not always bad for us." But will love take course and change her feelings? Will her dreams take her away from her responsibility? The episode will air this Friday. Furthermore, the cast of Sonali Cable will be seen promoting their movie in Pyaar Tune Kya Kiya. Actress Riya from the flick will be seen in some of the scenes in the above episode. 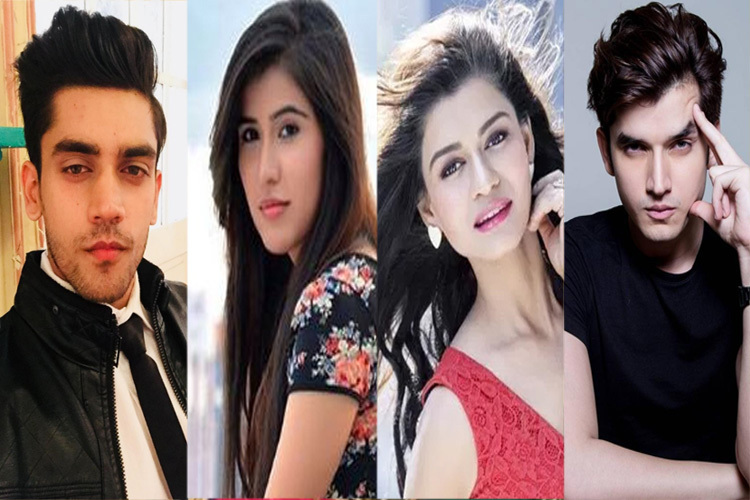 The leads in the episode will be played by Karan Chhabra (Heropanti), Isha Chawla (MTV Fanaah) and newbie Harpreet Chhabra. Karan’s character will be the college hottie who would have no place for true love in his life. But a bet by his girlfriend will see him participating in a dance competition, where life will change for him completely. We tried reaching the cast but they remained unavailable to comment. To know more about the story, watch the episode this Friday (3 October). Earlier in the day we reported about Isha Chawla, Karan Chhabra and Harpreet Chhabra being a part of Zing’s Pyaar Tune Kya Kiya (Lost Boy Productions), now we have details about its next episode featuring handsome hunk Puru Chibber and the pretty Priya Chauhan in a very interesting love tale..
Puru who was last seen in Zee TV’s Do Dil Bandhe Ek Dori Se will play a typical gangster who would get into the rough and tough ways in achieving his goals. However, the character Chandu will have a heart of gold. Kanika, essayed by Priya will be a very studious college student who would be full of life. Being a cop’s daughter, the girl will be fearless in her attitude, and will have the heart to help people out. The story will trace the journey of the gangster and this girl from college who would come face to face owing to situations, only to fall in love with each other. When contacted, Puru confirmed that he will be seen in Pyaar Tune Kya Kiya. Priya who was last seen playing a waitress in Yeh Hai Aashiqui also confirmed the news. Watch this interesting love tale in the popular Zing show next week.